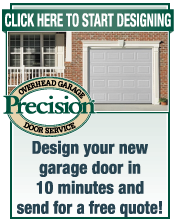 I chose Precision Garage Doors because they have done work in my neighborhood in years past. i would give Precision 5 stars. Javier installed an 8 ft. garage door and a new garage door opener. It was a positive experience. Javier was professional, knowledgeable, courteous and confident. He demonstrated a high level of experience the whole installation. He was one of the more pleasant workers I have done business with in a very long time. The garage door and opener works great . Thanks Precision Garage Doors. Victor was terrific, friendly and courteous. He solved our bracket repair problem promptly and less expensively than I had anticipated. Extremely pleased. Hello. My technician was Mike. He apologized for the delay but I must say he did a great job installing the panel on my door. I recommend him highly! 'Thank you again. We called for service at 4pm. The receptionist was very patient and accommodating in arranging for the technician to arrive sooner rather than later. Mike, the same technician who had repaired the garage door opener and door 2 years prior, arrived within a half hour. Unfortunatley , the opener could not be repaired this time and Mike had to install a new unit. 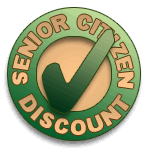 Mike was friendly, courteous and very knowledgeable, just as he had been the first time. We had every confidence that we were in good hands. He is trustworthy, reliable, and skilled in his trade. Our door was working within a few hours. Thank you for making the experience stress free! Prompt response and efficient service. Martin, the technician couldn't have been more helpful. The price for the repairs was more than I expected. Great technican installed new garage door opener quickly and removed all debris. New model quiet, efficient, but pricey. Amazing service! I highly recommend Precision! I received excellent service. Thank you. 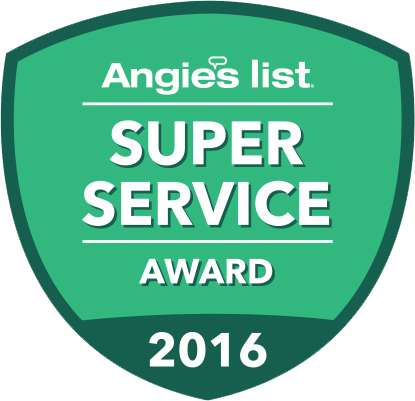 I purchased a coupon from Angie's List after seeing many "A" ratings. Can see why, Martin was on time, very knowledgable and did excellent work on the tune-up requested, which hadn't been serviced in many years..
Vic was awesome - evaluation, estimate, explanation, woot! We will probably have the work done in January. Thank you! Mike was fast, friendly and knowledgeable. He installed a new garage door opener for us expertly. Everything was explained thoroughly so that even old geezers like us could understand how to operate the system. I wll definitely recommend Precision to anyone who needs garage door service. tech was on time. loved that he was very helpful & nice. would use them again. Did an excellent job of fixing my garage door. i am very happy with your service. Martin was great and prompt. Telephone staff was really professional so I immediatly trusted them, tech arrived within an hour and had ourt door open and functioning better than before with in a couple hours. No extra surcharge for late night service and they provided a good warranty. Thumbs up! Mike did a great job and was very professional. He fixed my door and explained everything after he was finished. I was very pleased with Martin and his repairs. I will definitely use Precision Door Service again in the future if ever needed. Martin educated us on our door and opener and made a couple of suggestions. the door is working a lot better now and I am confident we we will get many more years out of it. Found company in phone book and based on presentation of the quality and professional ad we decided to go with Precision. All conversations with the receptionist and service man were very pleasant and you could tell they were concerned for the customer. Service Man was extremely enjoyable to have around.....great personality!!!! Mike called us by our first name and he CLEANED UP ALL DEBRIS! HE IS A KEEPER!!!! Service was PROMPT and ultimate results were GREAT! We would most definitely refer Precision to others. YOU ARE A #1 COMPANY ABOVE ALL OTHERS!!!!!!! Thanks for being an OUTSTANDING COMPANY!!!!! Martin did a great job! Friendly and took care of business. Jesus did an amazing job. I was very impressed with his work. Thanks so much!